Lead Poisoning | Bracamontes & Vlasak, P.C. 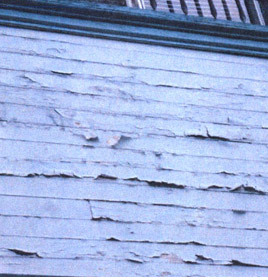 Many residential and commercial buildings constructed before 1978 still contain lead-based paint. Although the U.S. federal government banned lead-based paint in 1978 due to its toxic and potentially lethal effect on humans, older buildings that have not been properly maintained often still contain hazardous levels of lead. Lead-based paint can also reside under the surface of newer paint and still be ingestible. Airborne lead dust from paint can also be present on window sills or in soil, and pose great risks to children. Children under the age of six years old are especially susceptible, because their brains and central nervous systems are still developing and hence are more vulnerable to the toxic effect of lead. In addition to residential tenancies constructed before 1978, other facilities, such as day care centers, are potential sources of lead exposure to children. Contact Bracamontes & Vlasak, P.C., today to schedule a free initial consultation. If you have a child under the age of 6 and live in a building constructed prior to 1978, you should be aware of the potential hazards of lead-based paint and how to prevent or mitigate any injury. Lead exposure can also harm children before they are born. If pregnant women ingest lead through paint chips, dust, soil, or water, that can cause in utero exposure to the fetus and result in brain damage. There are two different standards to consider here: lead outside or inside the body. Hazardous lead paint is defined by the federal government as paint with lead levels greater than or equal to 1.0 milligram per square centimeter. Federal standards for lead dust state that 40 micrograms per square foot for floors and 250 micrograms per square foot or more for interior window sills are hazardous. For soil, anything above 400 parts per million (ppm) in play areas and 1200 ppm in bare soil in nonplay areas is considered a hazard to children. Regarding lead in the body, a blood test is required. Over the years, and especially prior to 1978, the lead industry did all it could through powerful lobbyists and advertising campaigns to maintain federal guidelines stating that blood lead levels that are extremely high are not hazardous to humans. For example, in 1970 children were only considered to have lead poisoning if their blood lead levels were over 60 micrograms per deciliter. Yet at that level many children were already displaying classic symptoms of acute lead poisoning, such as seizures, comas, permanent neurological damage, and even death. For an informative account of this, see “The Politics of Science: Lead Wars and the Fate of America’s Children,” by Gerald Markowitz and David Rosner (University of CA Press, 2013). Now the guidelines have all changed, but the problem of lead remains. Until recently, the federal Center for Disease Control (CDC) defined a blood lead level of 10 micrograms per deciliter (μg/dL) as “elevated,” and this definition was used to identify children for blood lead case management. However, no level of lead exposure has been identified that is without risk of deleterious health effects. CDC’s Advisory Committee on Childhood Lead Poisoning Prevention (ACCLPP) recommended in January 2012 that the 97.5th percentile of children’s blood lead distribution (currently 5 μg/dL) be defined as “elevated” for purposes of identifying children for follow-up activities such as environmental investigations and ongoing monitoring (Low Level Lead Exposure Harms Children: A Renewed Call for Primary Prevention, January 4, 2012. Accessed at www.cdc.gov/nceh/lead/acclpp/final_document_010412.pdf). 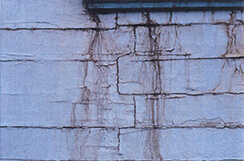 The CDC has agreed with the ACCLPP finding that there is no safe level of blood lead in children and has adopted a prevention and education strategy nationwide to reduce childhood lead exposure (CDC Response to Advisory Committee on Childhood Lead Poisoning Prevention, accessed at http://www.cdc.gov/nceh/lead/ACCLPP/blood_lead_levels.htm). What Should I Do If I Am Concerned About Lead Exposure? Have yourself and/or your children tested for blood lead levels immediately and continuing into the future on a periodic basis. Blood lead levels will fluctuate with time depending on rates and volume of ingestion of lead, so continued monitoring is necessary. Once the source of lead is identified and professionally remediated, health problems may continue depending on how much lead has been ingested. Who Is Liable For Causing Lead Poisoning To Children? Landlords have a duty to disclose information on lead-based paint before leases are signed. Sellers of buildings have the same duty and sales contracts must include the appropriate lead disclosures. Renovators, painters, or handymen disturbing more than 2 square feet of painted surfaces must provide information on lead-based paint before starting work. A lessor is required to provide lessees with a lead hazard information pamphlet and disclose the presence of known lead-based paint and hazards. 42 U.S.C. § 4852d(a)(1) (2012). The statute requires strict compliance by the lessor. See Smith v. Coldwell Banker Real Estate Services, Inc., 122 F. Supp. 2d 267 (2000) (rejecting substantial compliance defense to 42 U.S.C. § 4852d). Thus, the fact that a tenant may have received a pamphlet from a third party, such as HUD or the Oakland Housing Authority, arguably does not constitute compliance for the landlord, as owners still have an obligation to strictly comply with 42 U.S.C. § 4852. 24 CFR Part 35 requires lead disclosures and annual inspection and maintenance. Statement disclosing presence of known lead-based paint and/or lead based paint hazards. List of records or reports pertaining to lead-based paint and/or lead-based paint hazards that were provided to the lessee or if no records or reports are available, the lessor shall so indicate. Visual assessment for deteriorated paint, bare soil, and failure of hazard reduction measures shall be performed at unit turnover and every twelve months. Each dwelling unit shall be provided written notice asking occupants to report deteriorated paint, along with the name, address, and telephone number of the person whom occupants should contact. Lead cases are expensive and difficult to prove. There are complex legal, medical, and insurance issues involved in almost every lead poisoning case, especially involving children. The right attorney will forward the costs for you. Each case is different, but the right attorney must always understand all of the challenges the case poses and how to overcome them with good lawyering and the right team of experts. Experts in lead poisoning cases include neurologists, pediatricians, obstetricians, neuropsychologists, toxicologists, industrial hygienists, property management experts, life care planners, vocational rehabilitation experts, economists, and insurance coverage specialists. Other experts may be needed depending on the case. For example, a defendant’s insurance policy limit may be complicated and larger than it first appears, since stacking may apply to certain toxic tort cases in which the “occurrence” occurred over multiple policy years. The California Supreme Court cases of Montrose Chemical Corp. v. Superior Court, 6 Cal. 4th 287 (1993), Aerojet-General Corp. v. Transport Indem. Co., 17 Cal. 4th 38 (1997), and most recently State v. Continental Ins. Co., 55 Cal. 4th 186 (2012), stand for the proposition that in toxic exposure litigation where the injury can be characterized as a series of indivisible injuries attributable to continuing events without a single unambiguous ’cause,’ and where the conditions giving rise to the injury extend over multiple policy years, stacking of consecutive polices over those years is the accurate and allowable policy limit. Related, there are often lead exclusions in insurance policies, and the plaintiff’s attorney must be knowledgeable and creative about who to sue and how. In lawsuits involving children, the lawyer must understand the field of pediatric neurotoxicology and how to prove causation. Injuries in children should never be underestimated and the full extent of the injury must be understood before settlement can be possible. Often, trust attorneys and professional fiduciaries must be hired so that any verdict or settlement obtained is properly provided to the minor for the treatment, care, and supervision he/she may require growing up and into adulthood. At BV Law we have the knowledge, experience, and resources to litigate a brain injury/lead poisoning case properly in order to maximize recovery for the client and obtain justice. Feel free to Contact Us with any questions about lead poisoning or a potential case. In 2004, plaintiff, an unemployed disabled woman, moved in Section 8 housing administered by the Oakland Housing Authority. The building was constructed in 1906. Prior to Plaintiff moving in, her soon-to-be landlords, Mr. A and Ms. B, had the building painted by an unknown party, presumably a nonlead certified painter. In March 2005, Mr. A and Ms. B sold the property to Mr. C and Ms. D. At the time of the transfer of ownership, plaintiff was three months pregnant with her first son, Boy 1. Her second son, Boy 2, was born two years later, in 2007, while she still resided at the subject property with Mr. C and Ms. D as the landlords. In 2009, Boys 1 and 2 presented to their treating pediatricians with speech and developmental delay, and were subsequently found to have elevated blood lead levels. Promptly thereafter, the Alameda County Lead Poisoning Prevention Program discovered hazardous lead-based paint at the subject property. Before remediation could occur, and before Plaintiff and her sons could move out, the building caught fire and the Oakland Fire Department Investigation Report suspected arson. Plaintiff and Guardian, acting as the Boys’ guardian ad litem, sued Mr. A, Ms. B, Mr. C, and Ms. D, alleging that the defendants failed to disclose the potential hazards of lead-based paint at the property, in violation of 42 U.S.C. § 4852(d), which created a dangerous condition that injured the minor children. They also alleged that failing to remedy the lead-based paint constituted a breach of the implied warranty of habitability. First-in-time landlords, A and B, were successful in early demurrers and motions to strike, resulting in the court precluding claims by the younger plaintiff (Boy 2), on the ground that he was not conceived during their ownership. All claims proceeded against defendants C and D.
The defendants contended that they learned of the existence of lead-based paint at the property only years after the alleged exposure. However, all parties agreed that the Oakland Housing Authority inspected and approved the property, and provided warning of potential lead hazards to Plaintiff. In addition, all parties agreed that the defendants, themselves, failed to provide lead disclosures to Plaintiff. Counsel for Mr. A and Ms. B filed a motion for summary judgment based in large part on Preston v. Goldman, 42 Cal. 3d 108 (1986), which prohibited tort-based liability to prior landowners no longer in control of the property. However, at oral argument, Plaintiffs’ counsel, Ryan Vlasak of BV Law, was successful in reversing the tentative ruling, and the court held that the jury could find that liability incurred in 2004 by defendants A and B in negligently painting the building could have resulted in injury to Boy 1 that was first substantiated in 2008-2009. Plaintiffs’ counsel abandoned the in utero theory of exposure since there was no evidence that Plaintiff had been exposed to lead while pregnant or otherwise. Boys 1 and 2 suffered cognitive impairments as a result of their exposure to lead-based paint. 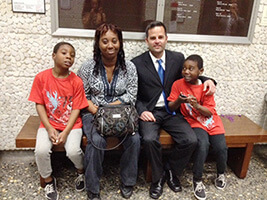 Plaintiff alleged that as a result, her sons suffered speech and developmental delays. Plaintiffs’ counsel contended that, based on State of California v. Continental Ins. Co., 55 Cal. 4th 186 (2012), Plaintiff and her sons were entitled to multiple policy years of insurance procured by Mr. C and Ms. D from 2005 to 2009. Thus, the plaintiffs’ experts opined that Boys 1 and 2 will sustain tens of millions of dollars in damages based on their future loss of income and need for future care and therapy. Defense counsel contended that the injuries, if any, to the Boys were pre-existing and/or caused by something other than the lead-based paint at the property, such as genetics — as Plaintiff had a pre-existing developmental delay herself (and testimony suggested that the father did as well). Counsel also contended that home environment, socio-economic status, maternal education or exposure to lead from other sources, such as the plaintiffs’ next residence — which also tested positive for elevated lead soil levels — caused and/or contributed to the Boys’ speech and developmental delay. Defendants C and D claimed that their maximum policy limit was $1 million and potentially only $500,000, based on reservations of rights asserted by the homeowner’s policy carrier. Defendants A and B claimed that there was no coverage for their one applicable policy because there was no documented injury in 2004-05, during their ownership that policy year. In addition, all defendants claimed that they had no substantial assets, themselves. Click here to contact an attorney at BV Law to discuss your lead poisoning case. You can also schedule a free initial consultation by calling our office at 415.835.6777.